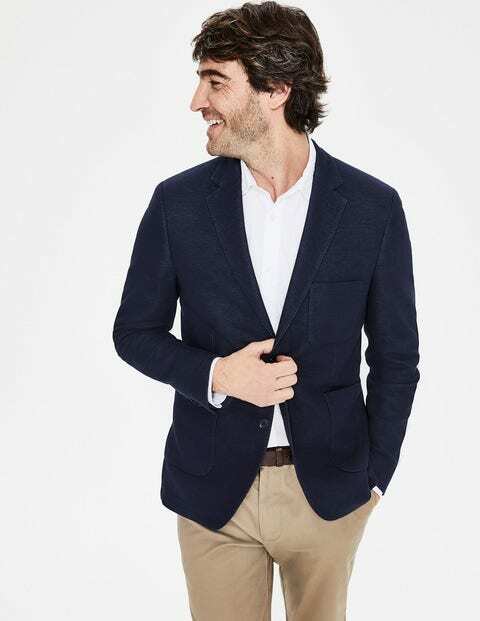 This versatile blazer has been crafted in a Portuguese factory, which has been expertly tailoring for 100 years. Made from cotton pique jersey and garment dyed so it's supremely soft, the jacket features a hint of stretch for comfort. It's smart enough for weekday meetings, yet still relaxed for pub-going thanks to its deconstructed design.